American Airlines knows that pink sand beaches and exotic cocktails are in style. The carrier is adding six new weekly flights to Bermuda from New York’s Kennedy Airport. The new flights start on February 11, 2016, just in time for a Valentine’s Day beach getaway. The Beach Boys song Kokomo immortalized Bermuda and other island destinations when it was featured in the 80’s film Cocktail, starring Tom Cruise. Bermuda is still trending today due to its beautiful beaches and innate charm born of the interesting intersection of British and American cultures. The island’s warm water and fabulous beaches are undeniable. Elbow Beach offers the famous pink sands of Bermuda, and the iconic Horseshoe Bay has been voted among the best beaches in the world several times over. 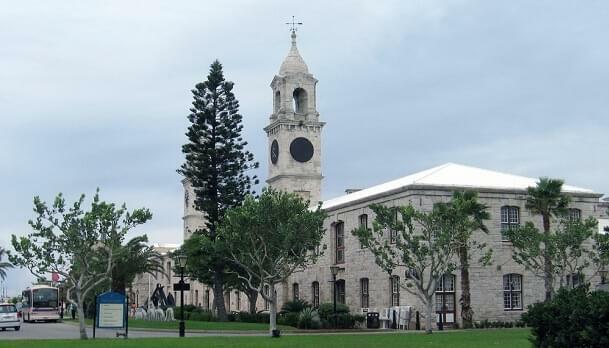 If you need a break from the sun, the Royal Naval Dockyard is a great way to take in some local history, while enjoying some shopping, dining and drinking. It was once a base for the Royal Navy, but now it’s loaded with restaurants, shops, bars and art galleries. The Keep Fortress offers the Dolphin Quest program, where you can swim with Dolphins. It’s a fun time for kids and adults alike. If putting the green is your thing, then the Port Royal Golf Club and the Turtle Hill Golf Club, will be right up your alley. The island also has beautiful crystal caves, complete with a 55-foot deep lake surrounded with crystal formations. Visitors can explore the caves, but you might want to wear comfortable shoes for the hike there. Bermuda also has its own aquarium, museum and zoo, where you can get in touch with the island’s wildlife. The complex has about 200 species of fish and marine invertebrates on site, along with 300 reptiles, mammals and birds. It also offers public animal feeding, story time and snorkeling expeditions. Last but not least, if you’re in Bermuda in August, check out the Cup Match. Cricket is big on the island, and this event lasts for four days. Everyone will be watching, so spend some quality time with locals taking in the action at a pub.